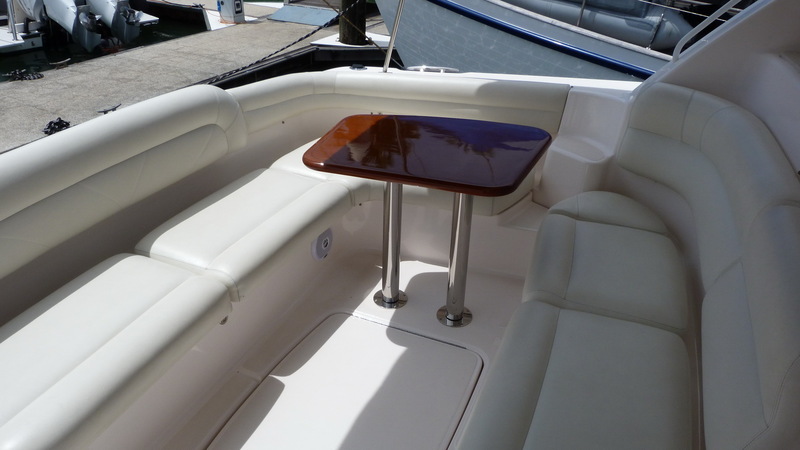 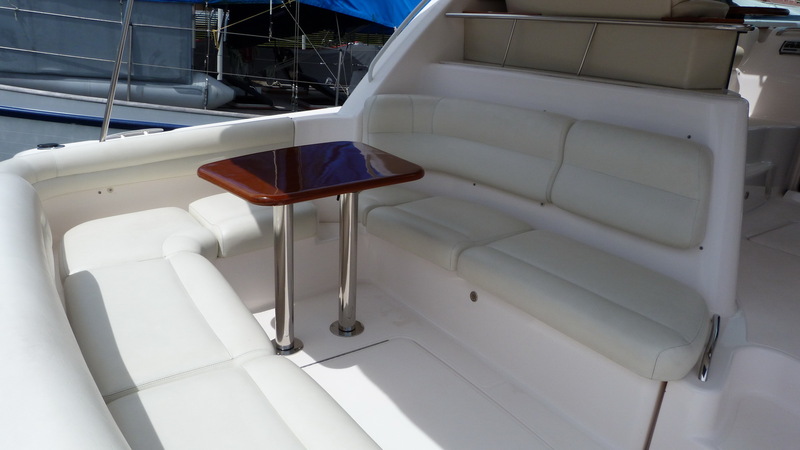 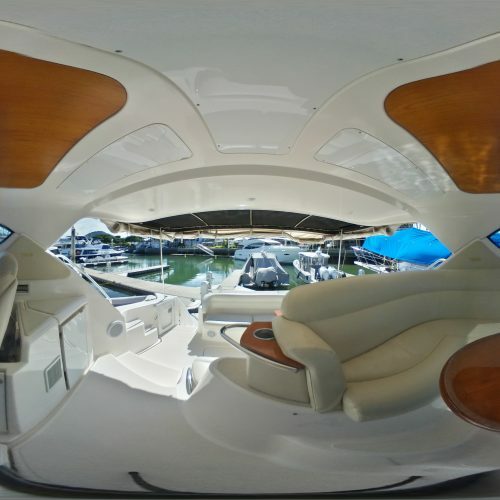 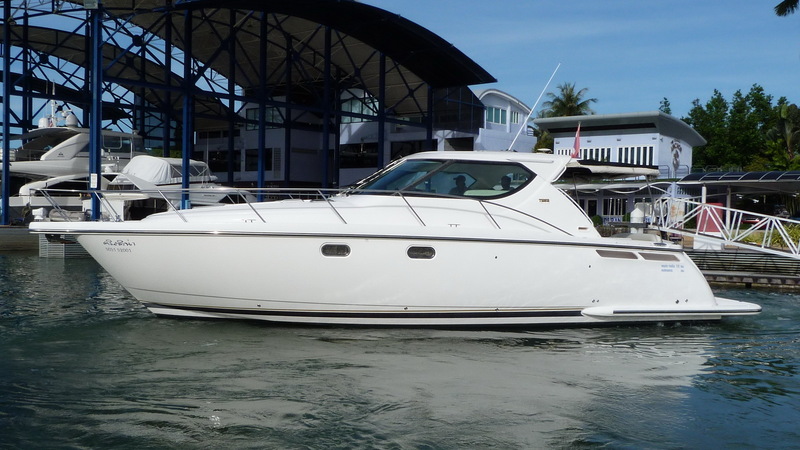 This single owner Tiara Sovran 4300 has been in the care of Derani Yachts since new. 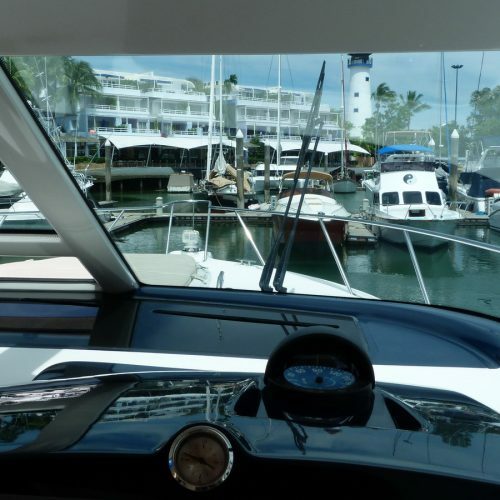 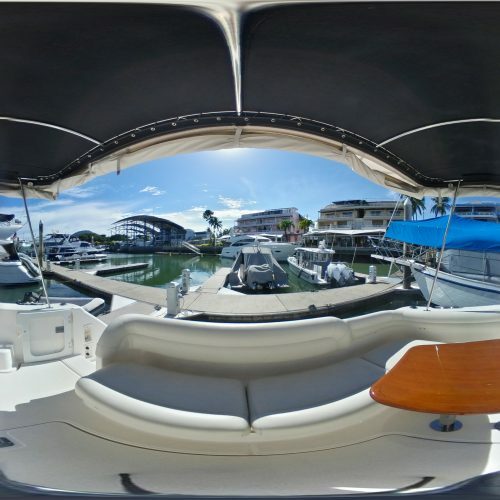 The large and well shaded outdoor spaces make the most of the tropical climate with the ability to air condition the forward cockpit. 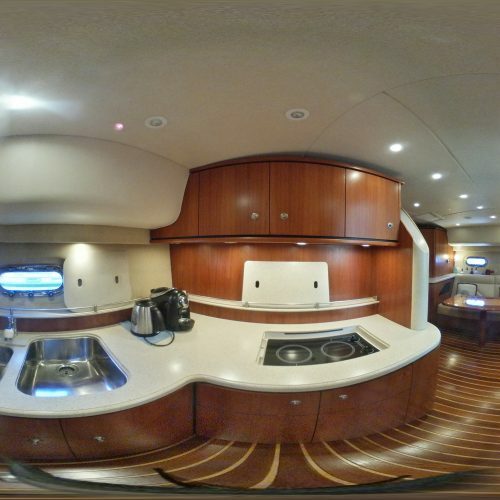 Down below the spacious accommodation includes a large corner galley with full height fridge to port and an L shaped saloon to starboard. 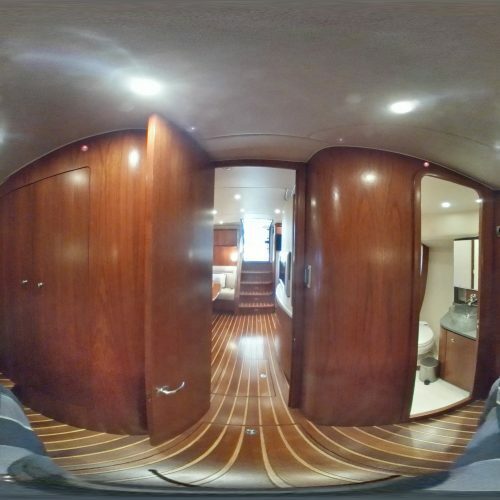 The mid cabin leads aft from the galley and has twin beds and a head with shower. 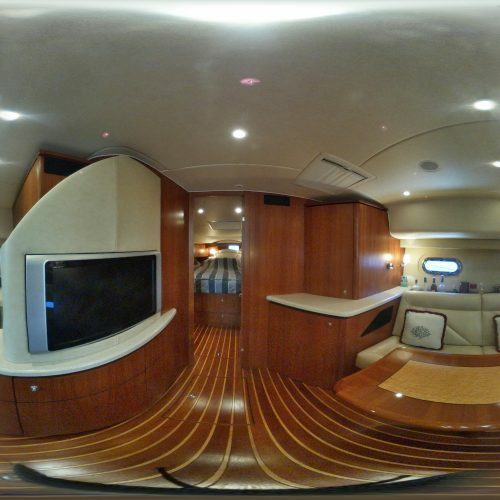 There is also a TV and DVD player to keep the younger crew members entertained. 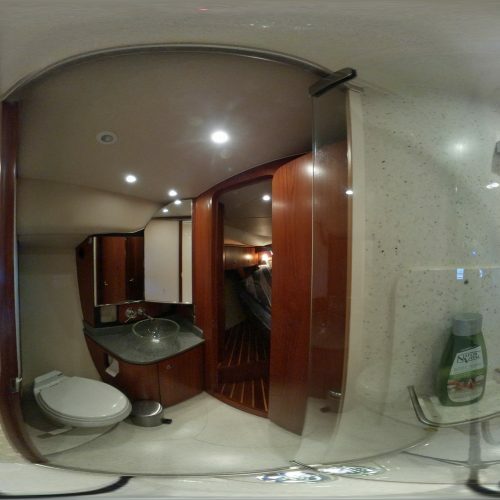 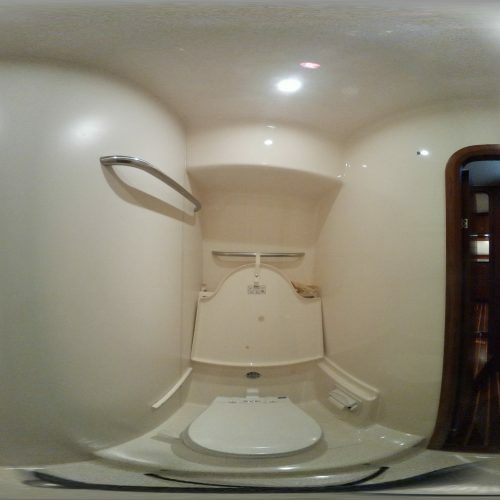 The double master cabin is forward with a good sized head and separate shower and a hanging wardrobe. 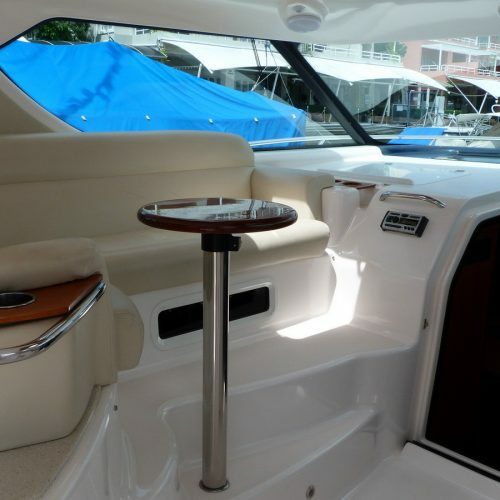 There is teak and holly flooring with removable carpets throughout the accommodation. 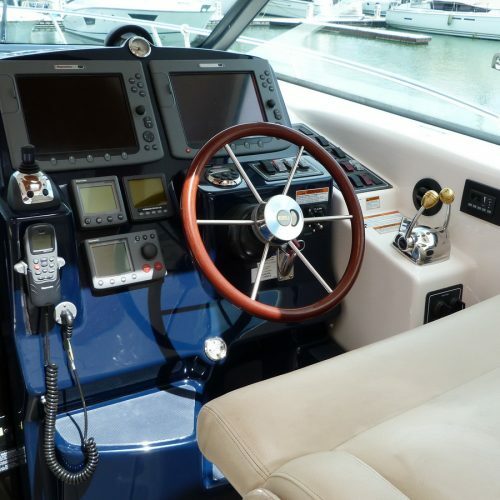 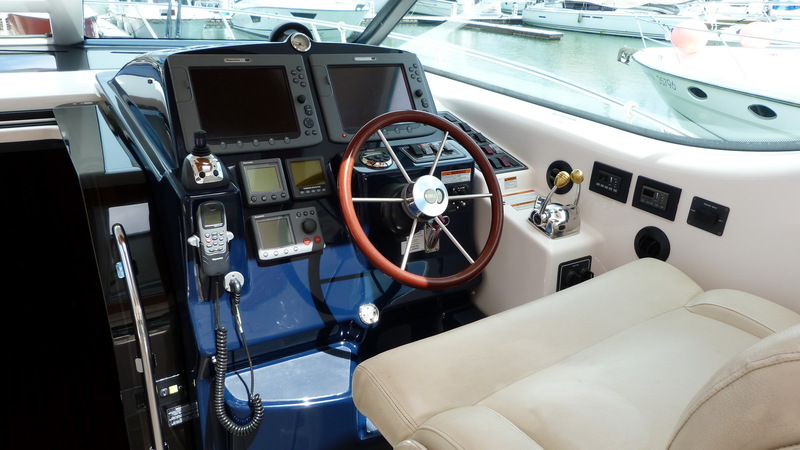 Powered by twin Volvo Penta D6 435hp diesel engines through IPS 600 drives the Tiara Sovran 4300 is both economical at speed and easily manoeuvred in the marina using the joystick control and can cruise comfortably at 22 knots and reach 28 knots at full speed. 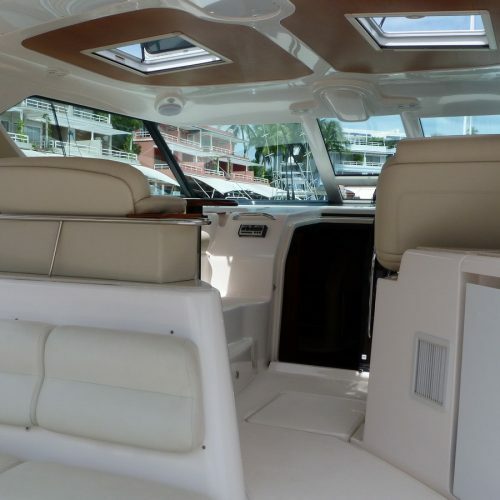 The Onan 11.5 kilowatt generator provides plenty of power for the air-conditioning and on board systems. 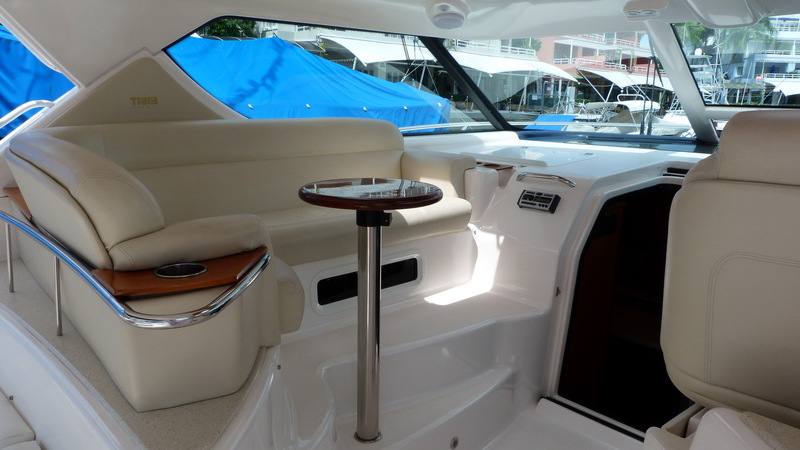 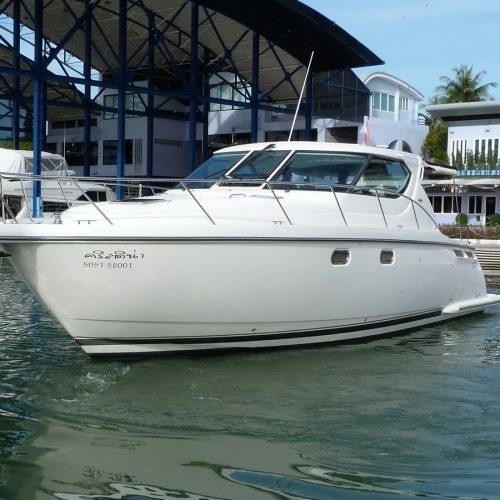 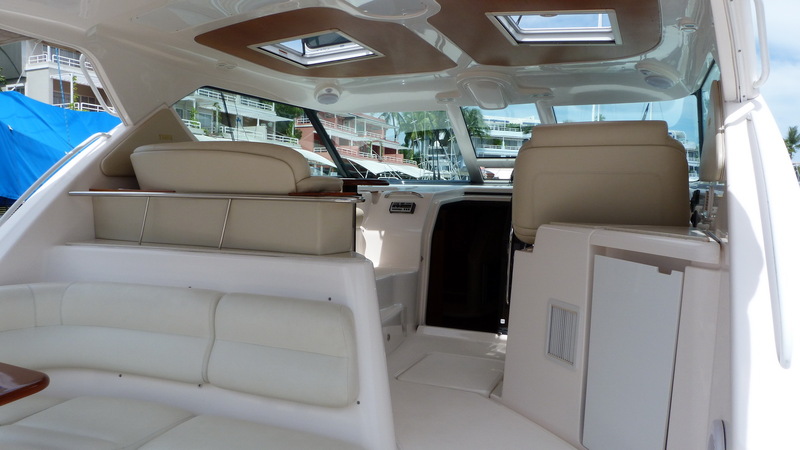 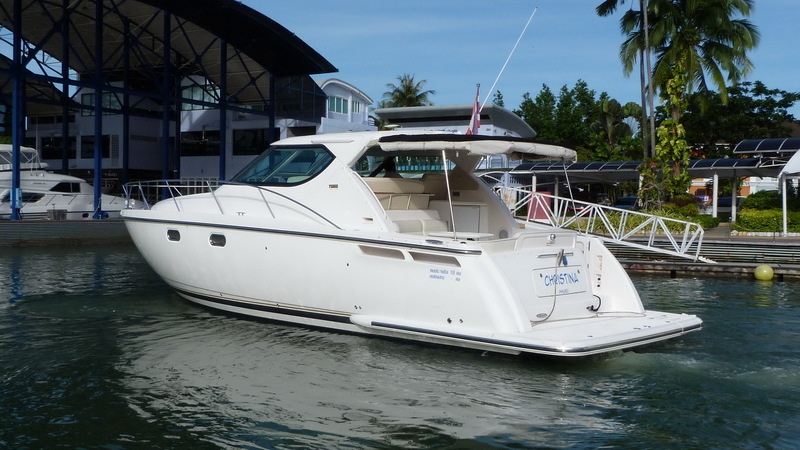 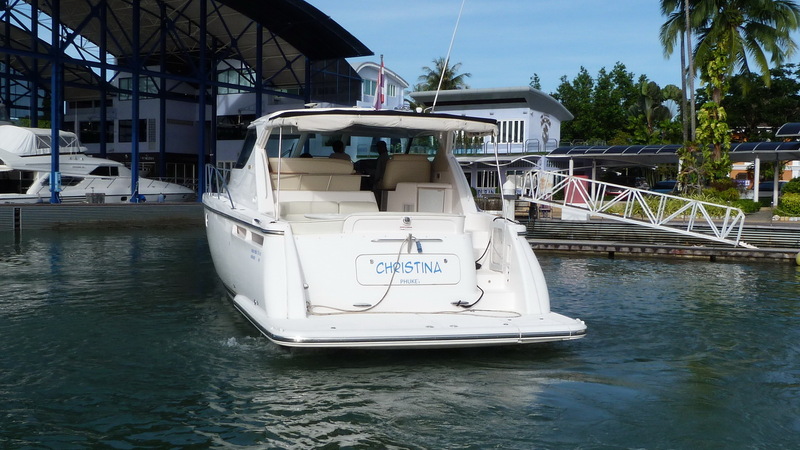 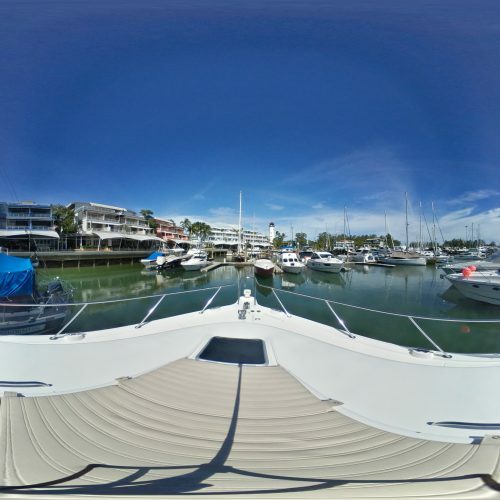 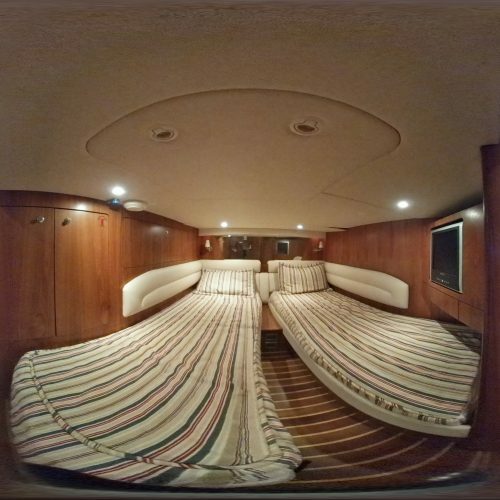 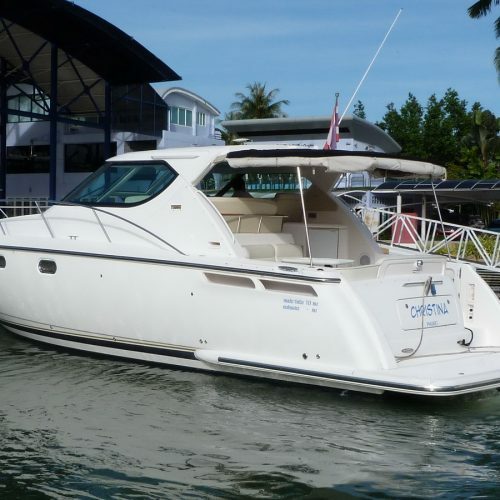 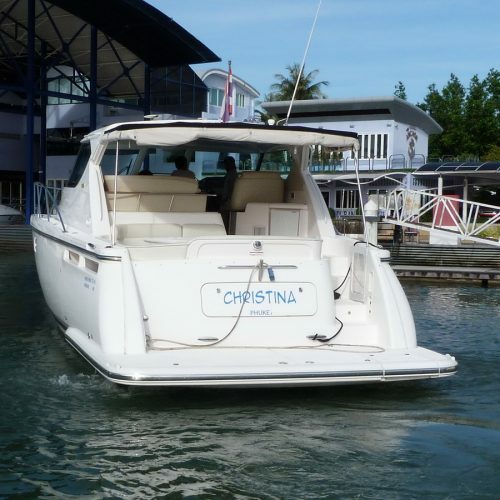 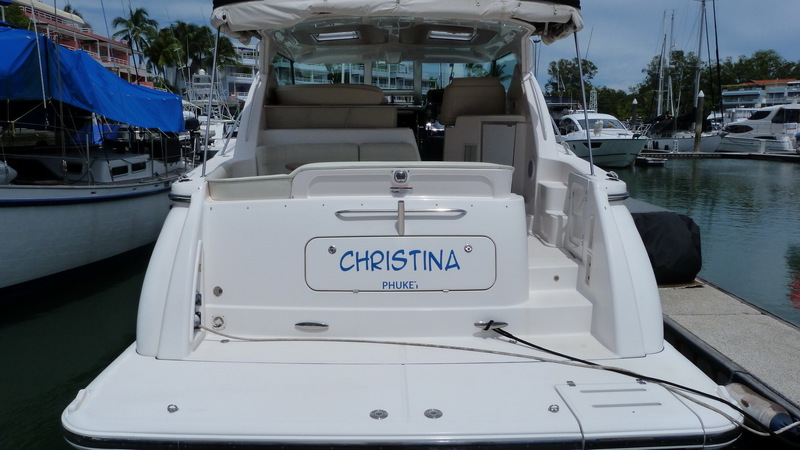 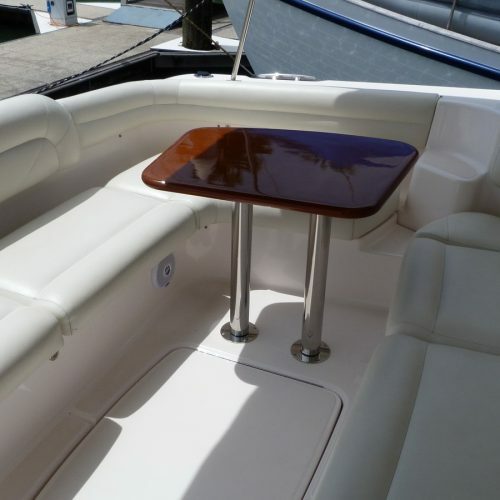 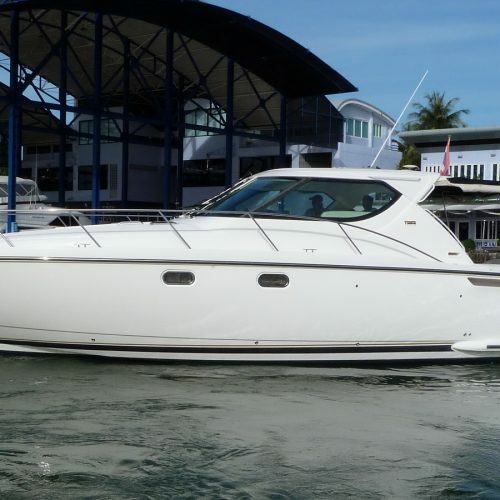 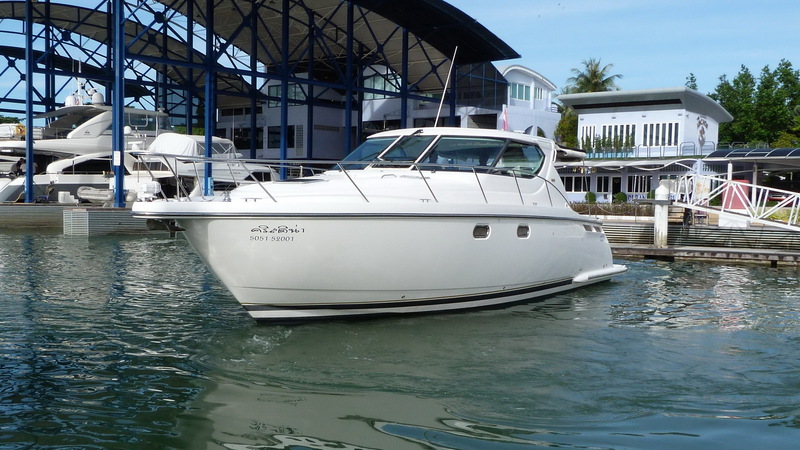 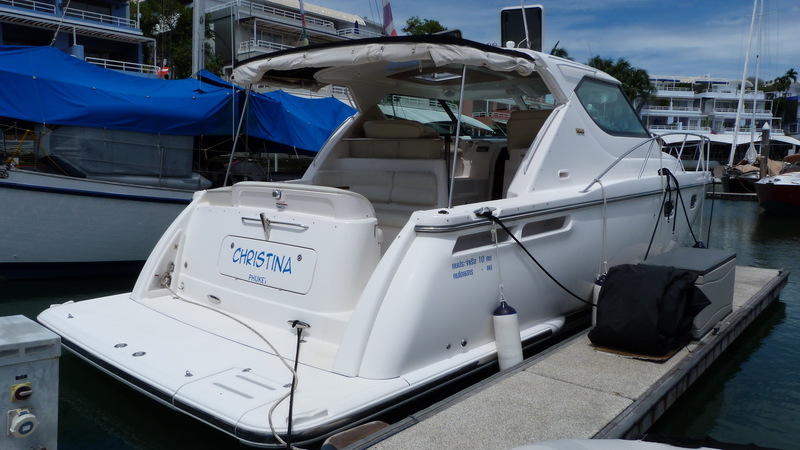 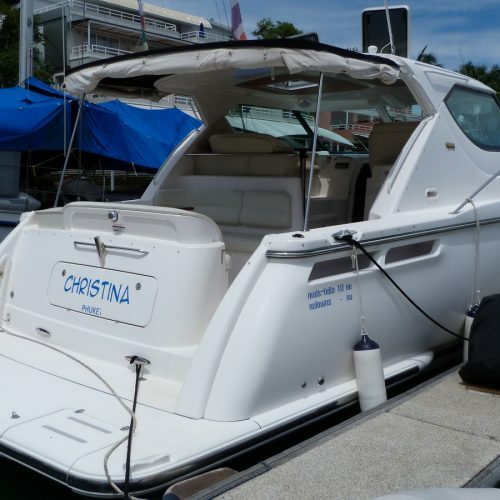 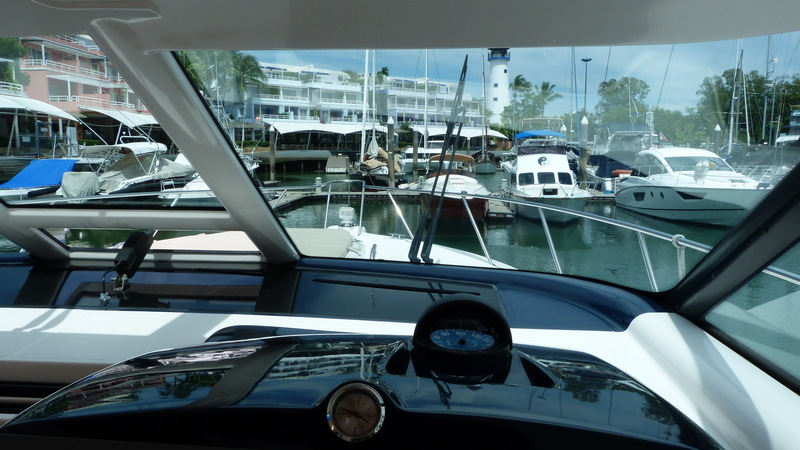 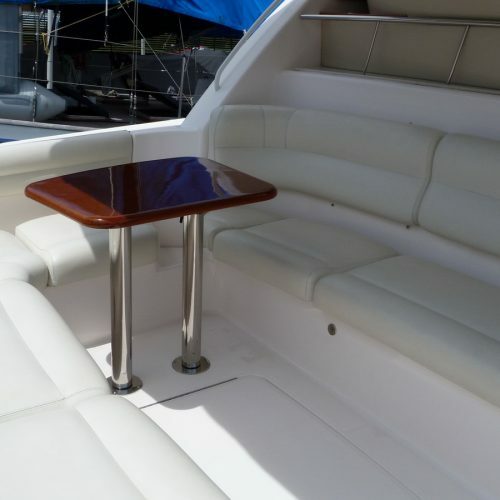 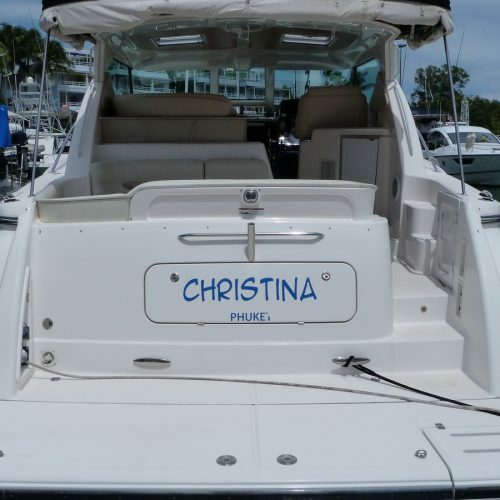 This single owner Tiara Sovran 4300 is Thai registered and ready for the coming season.